In biology, a taxon is a group of one or more populations of an organism or organisms seen by taxonomists to form a unit. Although neither is required, a taxon is usually known by a particular name and given a particular ranking, especially if and when it is accepted or becomes established. It is not uncommon, however, for taxonomists to remain at odds over what belongs to a taxon and the criteria used for inclusion. If a taxon is given a formal scientific name, its use is then governed by one of the nomenclature codes specifying which scientific name is correct for a particular grouping. Through evolution, species arise through the process of speciation—where new varieties of organisms arise and thrive when they are able to find and exploit an ecological niche—and species become extinct when they are no longer able to survive in changing conditions or against superior competition. The relationship between animals and their ecological niches has been firmly established. 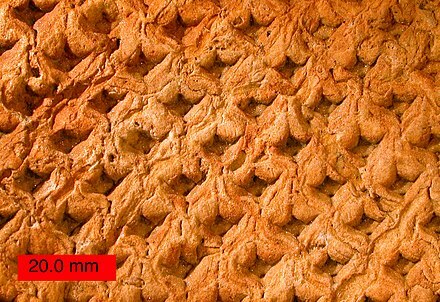 A typical species becomes extinct within 10 million years of its first appearance,  although some species, called living fossils, survive with virtually no morphological change for hundreds of millions of years. Evolution is change in the heritable characteristics of biological populations over successive generations. These characteristics are the expressions of genes that are passed on from parent to offspring during reproduction. Different characteristics tend to exist within any given population as a result of mutation, genetic recombination and other sources of genetic variation. 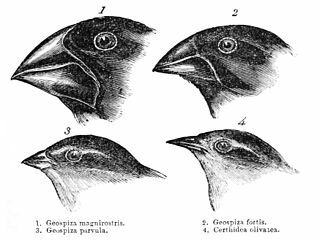 Evolution occurs when evolutionary processes such as natural selection and genetic drift act on this variation, resulting in certain characteristics becoming more common or rare within a population. It is this process of evolution that has given rise to biodiversity at every level of biological organisation, including the levels of species, individual organisms and molecules. In ecology, a niche is the match of a species to a specific environmental condition. It describes how an organism or population responds to the distribution of resources and competitors and how it in turn alters those same factors. "The type and number of variables comprising the dimensions of an environmental niche vary from one species to another [and] the relative importance of particular environmental variables for a species may vary according to the geographic and biotic contexts". In biology, phylogenetics is the study of the evolutionary history and relationships among individuals or groups of organisms. These relationships are discovered through phylogenetic inference methods that evaluate observed heritable traits, such as DNA sequences or morphology under a model of evolution of these traits. The result of these analyses is a phylogeny – a diagrammatic hypothesis about the history of the evolutionary relationships of a group of organisms. The tips of a phylogenetic tree can be living organisms or fossils, and represent the "end", or the present, in an evolutionary lineage. Phylogenetic analyses have become central to understanding biodiversity, evolution, ecology, and genomes. A dagger, obelisk, or obelus is a typographical symbol that usually indicates a footnote if an asterisk has already been used. It is present in Unicode as U+2020†DAGGER. The term "obelisk" derives from the Greek: ὀβελίσκος, which means "little obelus"; from ὀβελός meaning "roasting spit". It was originally represented by the subtraction and division symbols by Ancient Greek scholars as critical marks in manuscripts. The population is no longer viable. There are no individuals able to reproduce, or the small population of breeding individuals will not be able to sustain itself due to inbreeding depression and genetic drift, which leads to a loss of fitness. Currently an important aspect of extinction is human attempts to preserve critically endangered species. 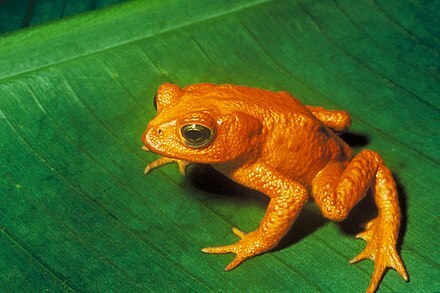 These are reflected by the creation of the conservation status "extinct in the wild" (EW). Species listed under this status by the International Union for Conservation of Nature (IUCN) are not known to have any living specimens in the wild, and are maintained only in zoos or other artificial environments. Some of these species are functionally extinct, as they are no longer part of their natural habitat and it is unlikely the species will ever be restored to the wild. When possible, modern zoological institutions try to maintain a viable population for species preservation and possible future reintroduction to the wild, through use of carefully planned breeding programs. The extinction of one species' wild population can have knock-on effects, causing further extinctions. 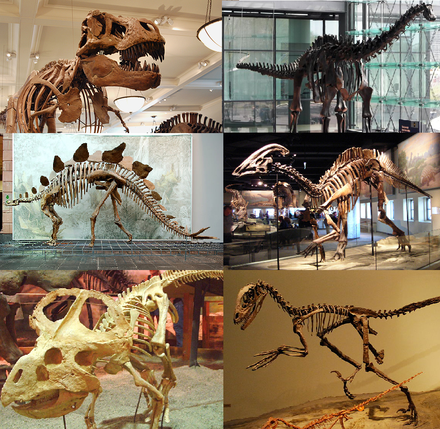 These are also called "chains of extinction". This is especially common with extinction of keystone species. Pseudoextinction is difficult to demonstrate unless one has a strong chain of evidence linking a living species to members of a pre-existing species. For example, it is sometimes claimed that the extinct Hyracotherium , which was an early horse that shares a common ancestor with the modern horse, is pseudoextinct, rather than extinct, because there are several extant species of Equus , including zebra and donkey. However, as fossil species typically leave no genetic material behind, one cannot say whether Hyracotherium evolved into more modern horse species or merely evolved from a common ancestor with modern horses. Pseudoextinction is much easier to demonstrate for larger taxonomic groups. As long as species have been evolving, species have been going extinct. It is estimated that over 99.9% of all species that ever lived are extinct. The average lifespan of a species is 1–10 million years,  although this varies widely between taxa. There are a variety of causes that can contribute directly or indirectly to the extinction of a species or group of species. "Just as each species is unique", write Beverly and Stephen C. Stearns, "so is each extinction ... the causes for each are varied—some subtle and complex, others obvious and simple". Most simply, any species that cannot survive and reproduce in its environment and cannot move to a new environment where it can do so, dies out and becomes extinct. Extinction of a species may come suddenly when an otherwise healthy species is wiped out completely, as when toxic pollution renders its entire habitat unliveable; or may occur gradually over thousands or millions of years, such as when a species gradually loses out in competition for food to better adapted competitors. Extinction may occur a long time after the events that set it in motion, a phenomenon known as extinction debt. Assessing the relative importance of genetic factors compared to environmental ones as the causes of extinction has been compared to the debate on nature and nurture. The question of whether more extinctions in the fossil record have been caused by evolution or by catastrophe is a subject of discussion; Mark Newman, the author of Modeling Extinction, argues for a mathematical model that falls between the two positions. By contrast, conservation biology uses the extinction vortex model to classify extinctions by cause. When concerns about human extinction have been raised, for example in Sir Martin Rees' 2003 book Our Final Hour , those concerns lie with the effects of climate change or technological disaster. If adaptation increasing population fitness is slower than environmental degradation plus the accumulation of slightly deleterious mutations, then a population will go extinct. Smaller populations have fewer beneficial mutations entering the population each generation, slowing adaptation. It is also easier for slightly deleterious mutations to fix in small populations; the resulting positive feedback loop between small population size and low fitness can cause mutational meltdown. 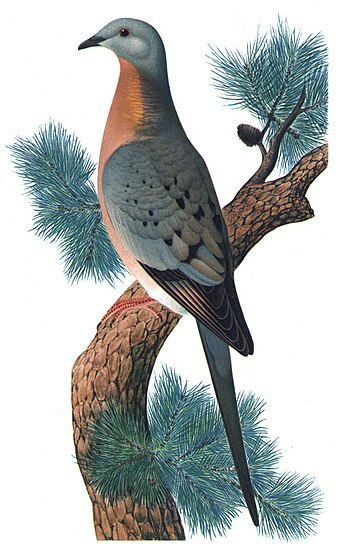 Limited geographic range is the most important determinant of genus extinction at background rates but becomes increasingly irrelevant as mass extinction arises. Limited geographic range is a cause both of small population size and of greater vulnerability to local environmental catastrophes. The gene pool of a species or a population is the variety of genetic information in its living members. A large gene pool (extensive genetic diversity) is associated with robust populations that can survive bouts of intense selection. Meanwhile, low genetic diversity (see inbreeding and population bottlenecks) reduces the range of adaptions possible. Replacing native with alien genes narrows genetic diversity within the original population,   thereby increasing the chance of extinction. Diminished resources or introduction of new competitor species also often accompany habitat degradation. Global warming has allowed some species to expand their range, bringing unwelcome[ according to whom? ] competition to other species that previously occupied that area. Sometimes these new competitors are predators and directly affect prey species, while at other times they may merely outcompete vulnerable species for limited resources. Vital resources including water and food can also be limited during habitat degradation, leading to extinction. There have been at least five mass extinctions in the history of life on earth, and four in the last 350 million years in which many species have disappeared in a relatively short period of geological time. A massive eruptive event is considered to be one likely cause of the "Permian–Triassic extinction event" about 250 million years ago,  which is estimated to have killed 90% of species then existing. 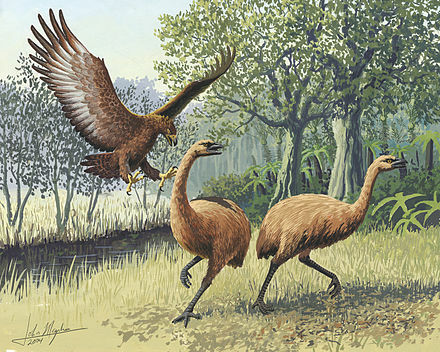 There is also evidence to suggest that this event was preceded by another mass extinction, known as Olson's Extinction. The Cretaceous–Paleogene extinction event (K-Pg) occurred 66 million years ago, at the end of the Cretaceous period, and is best known for having wiped out non-avian dinosaurs, among many other species. The concept of extinction was integral to Charles Darwin’s On the Origin of Species , with less fit lineages disappearing over time. For Darwin, extinction was a constant side effect of competition. Because of the wide reach of On the Origin of Species, it was widely accepted that extinction occurred gradually and evenly (a concept we now refer to as background extinction). It was not until 1982, when David Raup and Jack Sepkoski published their seminal paper on mass extinctions, that Cuvier was vindicated and catastrophic extinction was accepted as an important mechanism. 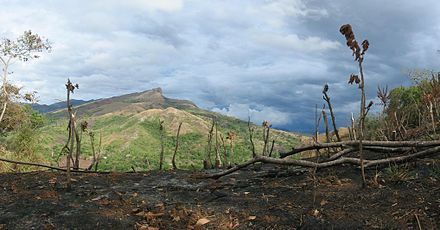 The current understanding of extinction is a synthesis of the cataclysmic extinction events proposed by Cuvier, and the background extinction events proposed by Lyell and Darwin. Governments sometimes see the loss of native species as a loss to ecotourism,  and can enact laws with severe punishment against the trade in native species in an effort to prevent extinction in the wild. Nature preserves are created by governments as a means to provide continuing habitats to species crowded by human expansion. The 1992 Convention on Biological Diversity has resulted in international Biodiversity Action Plan programmes, which attempt to provide comprehensive guidelines for government biodiversity conservation. Advocacy groups, such as The Wildlands Project  and the Alliance for Zero Extinctions,  work to educate the public and pressure governments into action. The smallpox virus is now extinct in the wild,  although samples are retained in laboratory settings. Treponema pallidum pertenue , a bacterium which causes the disease yaws, is in the process of being eradicated. The Holocene extinction, otherwise referred to as the Sixth extinction or Anthropocene extinction, is a current event, and is one of the most significant extinction events in the history of the Earth. This ongoing extinction of species coincides with the present Holocene epoch, and is a result of human activity. This large number of extinctions spans numerous families of plants and animals, including mammals, birds, amphibians, reptiles and arthropods. With widespread degradation of highly biodiverse habitats such as coral reefs and rainforests, as well as other areas, the vast majority of these extinctions are thought to be undocumented, as no one is even aware of the existence of the species before they go extinct, or no one has yet discovered their extinction. The current rate of extinction of species is estimated at 100 to 1,000 times higher than natural background rates. Coextinction and cothreatened refer to the phenomena of the loss or decline of a host species resulting in the loss or endangerment of other species that depends on it, potentially leading to cascading effects across trophic levels. The term originated by the authors Stork and Lyal (1993) and was originally used to explain the extinction of parasitic insects following the loss of their specific hosts. The term is now used to describe the loss of any interacting species, including competition with their counterpart, and specialist herbivores with their food source. Coextinction is especially common when a keystone species goes extinct. The extinction risk of global warming is the risk of species becoming extinct due to the effects of global warming. This may be Earth's sixth major extinction, often called the Anthropocene or Holocene extinction. Global biodiversity is the measure of biodiversity on planet Earth and is defined as the total variability of life forms. More than 99 percent of all species that ever lived on Earth are estimated to be extinct. Estimates on the number of Earth's current species range from 2 million to 1012, of which about 1.74 million have been databased thus far and over 80 percent have not yet been described. More recently, in May 2016, scientists reported that 1 trillion species are estimated to be on Earth currently with only one-thousandth of one percent described. 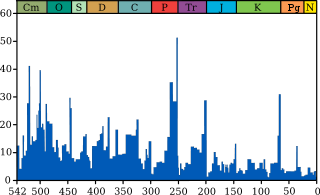 The total amount of DNA base pairs on Earth, as a possible approximation of global biodiversity, is estimated at 5.0 x 1037, and weighs 50 billion tonnes. In comparison, the total mass of the biosphere has been estimated to be as much as 4 TtC (trillion tons of carbon). Defaunation is the global, local or functional extinction of animal populations or species from ecological communities. The growth of the human population, combined with advances in harvesting technologies, has led to more intense and efficient exploitation of the environment. This has resulted in the depletion of large vertebrates from ecological communities, creating what has been termed "empty forest". Defaunation differs from extinction; it includes both the disappearance of species and declines in abundance. Defaunation effects were first implied at the Symposium of Plant-Animal Interactions at the University of Campinas, Brazil in 1988 in the context of neotropical forests. Since then, the term has gained broader usage in conservation biology as a global phenomenon. A large proportion of living species on Earth live a parasitic way of life. Parasites have traditionally been seen as targets of eradication efforts, and they have often been overlooked in conservation efforts. In the case of parasites living in the wild – and thus harmless to humans and domesticated animals – this view is changing. Conservation is the maintenance of biological diversity. Conservation can focus on preserving diversity at genetic, species, community or whole ecosystem levels. This article will examine conservation at the species level, because mutualisms involve interactions between species. The ultimate goal of conservation at this level is to prevent the extinction of species. However, species conservation has the broader aim of maintaining the abundance and distribution of all species, not only those threatened with extinction. Determining the value of conserving particular species can be done through the use of evolutionary significant units, which essentially attempt to prioritise the conservation of the species which are rarest, fastest declining, and most distinct genotypically and phenotypically. In ecology, extinction debt is the future extinction of species due to events in the past. The phrases dead clade walking and survival without recovery express the same idea. Climate change has had a significant direct effect on terrestrial animals, by being a major driver of the processes of speciation and extinction. The best known example of this is the Carboniferous Rainforest Collapse which occurred 350 million years ago. This event decimated amphibian populations and spurred on the evolution of reptiles. The Sixth Extinction: An Unnatural History is a 2014 non-fiction book written by Elizabeth Kolbert and published by Henry Holt and Company. The book argues that the Earth is in the midst of a modern, man-made, sixth extinction. In the book, Kolbert chronicles previous mass extinction events, and compares them to the accelerated, widespread extinctions during our present time. She also describes specific species extinguished by humans, as well as the ecologies surrounding prehistoric and near-present extinction events. The author received the Pulitzer Prize for General Non-Fiction for the book in 2015. Biodiversity loss is the extinction of species worldwide, and also the local reduction or loss of species in a certain habitat. ↑ Kunin, W.E. ; Gaston, Kevin, eds. (1996). The Biology of Rarity: Causes and consequences of rare–common differences. ISBN 978-0412633805 . Retrieved 26 May 2015. ↑ Stearns, Beverly Peterson; Stearns, S.C.; Stearns, Stephen C. (2000). Watching, from the Edge of Extinction. Yale University Press. p. preface x. ISBN 978-0-300-08469-6 . Retrieved 30 May 2017. ↑ Novacek, Michael J. (8 November 2014). "Prehistory's Brilliant Future". The New York Times . Retrieved 2014-12-25. 1 2 3 Newman, Mark (1997). "A model of mass extinction". Journal of Theoretical Biology. 189 (3): 235–252. arXiv: adap-org/9702003 . doi:10.1006/jtbi.1997.0508. PMID 9441817. ↑ G. Miller; Scott Spoolman (2012). Environmental Science – Biodiversity Is a Crucial Part of the Earth's Natural Capital. Cengage Learning. p. 62. ISBN 978-1-133-70787-5 . Retrieved 2014-12-27. ↑ Mora, C.; Tittensor, D.P. ; Adl, S.; Simpson, A.G.; Worm, B. (23 August 2011). "How many species are there on Earth and in the ocean?". PLOS Biology . 9 (8): e1001127. doi:10.1371/journal.pbio.1001127. PMC 3160336 . PMID 21886479. ↑ Staff (2 May 2016). "Researchers find that Earth may be home to 1 trillion species". National Science Foundation . Retrieved 6 May 2016. ↑ Ceballos, Gerardo; Ehrlich, Paul R.; Barnosky, Anthony D.; García, Andrés; Pringle, Robert M.; Palmer, Todd M. (2015). "Accelerated modern human–induced species losses: Entering the sixth mass extinction". Science Advances . 1 (5): e1400253. Bibcode:2015SciA....1E0253C. doi:10.1126/sciadv.1400253. PMID 26601195. ↑ Ripple WJ, Wolf C, Newsome TM, Galetti M, Alamgir M, Crist E, Mahmoud MI, Laurance WF (13 November 2017). "World Scientists' Warning to Humanity: A Second Notice". BioScience . 67 (12): 1026–1028. doi:10.1093/biosci/bix125. Moreover, we have unleashed a mass extinction event, the sixth in roughly 540 million years, wherein many current life forms could be annihilated or at least committed to extinction by the end of this century. 1 2 Davis M, Faurby S, Svenning JC (2018). "Mammal diversity will take millions of years to recover from the current biodiversity crisis". Proc Natl Acad Sci U S A. 115 (44): 11262–11267. doi:10.1073/pnas.1804906115. PMC 6217385 . PMID 30322924. ↑ Diamond, Jared (1999). "Up to the Starting Line". Guns, Germs, and Steel. W.W. Norton. pp. 43–44. ISBN 978-0-393-31755-8. ↑ Mosbergen, Dominique (2018-10-16). "Mammals Will Still Be Recovering From Human Destruction Long After We're Gone". Huffington Post. Retrieved 2018-10-16. ↑ Mills, L. Scott (2009). Conservation of Wildlife Populations: Demography, Genetics and Management. John Wiley & Sons. p. 13. ISBN 978-1-4443-0893-8. ↑ Stearns, Beverly Peterson and Stephen C. (2000). "Preface". Watching, from the Edge of Extinction. Yale University Press. pp. x. ISBN 978-0-300-08469-6. ↑ Raup, David M.; J. John Sepkoski Jr. (March 1982). "Mass extinctions in the marine fossil record". Science. 215 (4539): 1501–1503. Bibcode:1982Sci...215.1501R. doi:10.1126/science.215.4539.1501. PMID 17788674. ↑ Bertram, J; Gomez, K; Masel, J (February 2017). "Predicting patterns of long-term adaptation and extinction with population genetics". Evolution. 71 (2): 204–214. arXiv: 1605.08717 . doi:10.1111/evo.13116. PMID 27868195. ↑ Payne, J.L. ; S. Finnegan (2007). "The effect of geographic range on extinction risk during background and mass extinction". Proc. Natl. Acad. Sci. 104 (25): 10506–10511. Bibcode:2007PNAS..10410506P. doi:10.1073/pnas.0701257104. PMC 1890565 . PMID 17563357. ↑ Mooney, H.A. ; Cleland, E.E. (2001). "The evolutionary impact of invasive species". PNAS . 98 (10): 5446–5451. Bibcode:2001PNAS...98.5446M. doi:10.1073/pnas.091093398. PMC 33232 . PMID 11344292. ↑ Potts, Brad M. (September 2001). Genetic pollution from farm forestry using eucalypt species and hybrids : a report for the RIRDC/L&WA/FWPRDC Joint Venture Agroforestry Program. Robert C. Barbour, Andrew B. Hingston. Australian Government, Rural Industrial Research and Development Corporation. ISBN 978-0-642-58336-9. ↑ Clover, Charles (2004). The End of the Line: How overfishing is changing the world and what we eat. London: Ebury Press. ISBN 978-0-09-189780-2. ↑ Lee, Anita. "The Pleistocene Overkill Hypothesis Archived October 14, 2006, at the Wayback Machine ." University of California at Berkeley Geography Program.'.' Retrieved January 11, 2007. ↑ Koh, Lian Pih. Science , Vol 305, Issue 5690, 1632–1634, 10 September 2004. ↑ Dunn, Robert; Nyeema Harris; Robert Colwell; Lian Pin Koh; Navjot Sodhi (2009). "Proceedings of the Royal Society". The sixth mass coextinction: are most endangered species parasites and mutualists?. The Royal Society . Retrieved April 20, 2011. ↑ Bhattacharya, Shaoni (7 January 2004). "Global warming threatens millions of species". New Scientist . Retrieved 2010-05-28. the effects of climate change should be considered as great a threat to biodiversity as the "Big Three"—habitat destruction, invasions by alien species and overexploitation by humans. 1 2 Sahney, S.; Benton, M.J. (2008). "Recovery from the most profound mass extinction of all time" (PDF). Proceedings of the Royal Society B: Biological Sciences. 275 (1636): 759–765. doi:10.1098/rspb.2007.1370. PMC 2596898 . PMID 18198148. ↑ Vignieri, S. (25 July 2014). "Vanishing fauna (Special issue)". Science . 345 (6195): 392–412. doi:10.1126/science.345.6195.392. PMID 25061199. ↑ Wilson, E.O. (April 30, 2012). ""E. O. Wilson wants to know why you're not protesting in the streets"". Grist (Interview). Interviewed by Lisa Hymas. Retrieved January 16, 2014. E.O. Wilson repeats his estimation in 2012. 1 2 De Vos; et al. (2014). "Estimating the Normal Background Rate of Species Extinction". Conservation Biology. 29 (2): 452–462. doi:10.1111/cobi.12380. ↑ Pimm, S.L. ; Jenkins, C.N. ; Abell, R.; Brooks, T.M. ; Gittleman, J.L. ; Joppa, L.N. ; Raven, P.H. ; Roberts, C.M. ; Sexton, J.O. (30 May 2014). "The biodiversity of species and their rates of extinction, distribution, and protection" (PDF). Science . 344 (6187): 1246752. doi:10.1126/science.1246752. PMID 24876501 . Retrieved 15 December 2016. The overarching driver of species extinction is human population growth and increasing per capita consumption. ↑ Ceballos, Gerardo; Ehrlich, Paul R; Dirzo, Rodolfo (23 May 2017). "Biological annihilation via the ongoing sixth mass extinction signaled by vertebrate population losses and declines". PNAS . 114 (30): E6089–E6096. doi:10.1073/pnas.1704949114. PMC 5544311 . PMID 28696295. 1 2 3 4 Vidal, Fernando; Dias, Nélia (2015). Endangerment, Biodiversity and Culture. Routledge. ISBN 978-1-317-53807-3. ↑ Inwood, Stephen (2005). The Forgotten Genius: The Biography of Robert Hooke, 1635–1703. MacAdam/Cage Publishing. ISBN 978-1-59692-115-3. 1 2 3 Molyneux, Thomas (1695-01-01). "A Discourse Concerning the Large Horns Frequently Found under Ground in Ireland, Concluding from Them That the Great American Deer, Call'd a Moose, Was Formerly Common in That Island: With Remarks on Some Other Things Natural to That Country. By Thomas Molyneux, M.D. Fellow of the King and Queens Colledge of Physicians inIreland, and of the Royal Society in England". Philosophical Transactions. 19 (215–235): 489–512. doi:10.1098/rstl.1695.0083. ISSN 0261-0523. 1 2 3 4 5 6 7 Trevor., Palmer (2003). Perilous planet earth : catastrophes and catastrophism through the ages. Cambridge University Press. ISBN 978-0-521-81928-2. OCLC 912273245. 1 2 S., Rudwick, M.J. (1998). 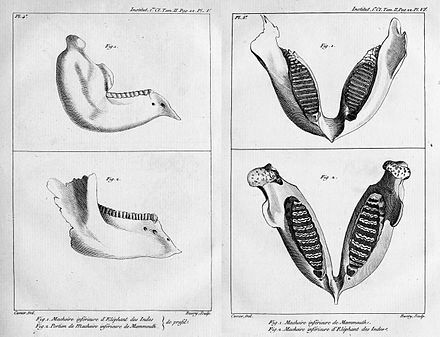 Georges Cuvier, fossil bones, and geological catastrophes : new translations & interpretations of the primary texts. University of Chicago Press. ISBN 978-0-226-73106-3. OCLC 45730036. ↑ Renato), Mandelbaum, Jonathan (Jonathan (1988). The age of Lamarck : evolutionary theories in France, 1790–1830. University of California Press. ISBN 978-0-520-05830-9. OCLC 898833548. ↑ C. Cormack Gates; Curtis H. Freese; Peter J.P. Gogan; Mandy Kotzman (2010). American bison: status survey and conservation guidelines 2010. IUCN. p. 15. ISBN 978-2-8317-1149-2 . Retrieved 6 November 2011. 1 2 Walsh, Bruce. Extinction Archived 1997-08-02 at the Wayback Machine . Bioscience at University of Arizona. Retrieved July 26, 2006. ↑ Diamond, Jared (2005). "A Tale of Two Farms". Collapse. Penguin. pp. 15–17. ISBN 978-0-670-03337-9. ↑ Drewry, Rachel. "Ecotourism: Can it save the orangutans? Archived February 16, 2007, at the Wayback Machine " Inside Indonesia. Retrieved January 26, 2007. ↑ The Wildlands Project Archived November 22, 2005, at the Wayback Machine . Retrieved January 26, 2007. ↑ Alliance for Zero Extinctions Archived April 23, 2011, at the Wayback Machine . Retrieved January 26, 2007. ↑ Ehrlich, Anne (1981). Extinction: The Causes and Consequences of the Disappearance of Species. Random House, New York. ISBN 978-0-394-51312-6. ↑ Benatar, David (2008). Better Never to Have Been: The Harm of Coming into Existence. Oxford University Press. p. 197. ISBN 978-0-19-954926-9. It is noteworthy that human concern about human extinction takes a different form from human concern (where there is any) about the extinction of non-human species. Most humans who are concerned about the extinction of non-human species are not concerned about the individual animals whose lives are cut short in the passage to extinction, even though that is one of the best reasons to be concerned about extinction (at least in its killing form). The popular concern about animal extinction is usually concern for humans—that we shall live in a world impoverished by the loss of one aspect of faunal diversity, that we shall no longer be able to behold or use that species of animal. In other words, none of the typical concerns about human extinction are applied to non-human species extinction. ↑ Dennis Normile (2008). "Driven to Extinction". Science . 319 (5870): 1606–1609. doi:10.1126/science.319.5870.1606. PMID 18356500 . Retrieved 2009-03-28. ↑ A. Zitner (2000-12-24). "Cloned Goat Would Revive Extinct Line". Los Angeles Times . Retrieved 2010-05-17. ↑ Steve Connor (2009-02-02). "Cloned goat dies after attempt to bring species back from extinction". The Independent . London. Retrieved 2010-05-17. Wikimedia Commons has media related to Extinction . Wikisource has the text of the 1905 New International Encyclopedia article Extinction of Species .